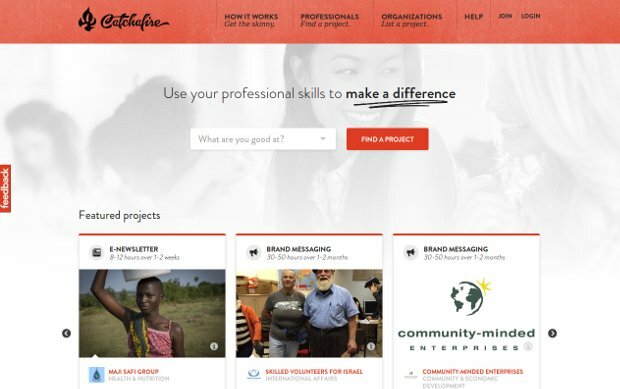 Catchafire is a community of individuals striving to push the social good sector forward by focusing on efficient and effective ways to give back. One way we do this is by matching professionals with nonprofits based on their skills, cause interest and time availability. They’re committed to providing transformational volunteer experiences, so all of the nonprofits they welcome into their community must have demonstrable impact, strong leadership and be aligned to their mission. Their nonprofits are required to make a financial investment to confirm their commitment to their partnership and Catchafire Consultants’ time. This also allows them to continue to provide high quality matches and support to their partners. Their goal is to provide a significant return on investment for them and save them time, money and resources in finding talented and passionate individuals who have the potential to become long term advocates.